Most people love to tinker on the entertainment aspects of their iPhones or iPads such as games, ebook apps, audio and videos. Unfortunately, many neglect to attend to different security measures their mobile gadgets need in order to avoid nightmares such as hacking, virus attacks, profile theft, and among others. Before it is too late, we would like to introduce free security applications that you can install on your iPads and iPhones. Using an iOS compatible host, you can find the gadget and protect all the information stored in it. All you need to do is to download the app into another device and log on using your Apple identification via iCloud. After it is installed, the software can now help you locate your missing iPhone or iPad that wandered off from the map. Then, you can decide to perform remote operation to lock the device, delete data, and show message or play alert tones even if the gadget is on silent mode. Both iPad and iPhone are powerful devices, they enable you to buy and sell, register membership profile, input confidential files and data, and so on and so forth. But the threat of someone stealing vital information is always there. Lucky for you, with Webroot, you do not only protect your devices from different forms of online theft, it costs nothing also. How does it help secure online transactions? As an antivirus app, it automatically scans files for malware or spyware, Trojans and viruses that render your devices vulnerable each time you transact online. It has an alert system when your gadget and its configurations are susceptible to attacks. It instantly blocks malwares before it has the opportunity to install anything onto your device. It conducts automatic scanning on web links and addresses to block harmful content such as phishing emails. When you browse and shop, a lot of websites out there are using QR codes. It is everywhere. It enables one to enjoy complication free access on product or service information and lets you avail of special deals and incentives. However, it also makes it easy for hackers to attack your mobile device and steal your profile or identity and perform malicious or criminal acts using your personal data. It is even more problematic as QR codes are websites in camouflage and you have no way of determining if the site is safe unless you perform scanning yet by then it might be too late. This application keeps you one step ahead of possible threats and eliminates the risks of using QR codes. It protects your identity by checking the security of websites that are connected to QR codes before these threats and risks are loaded to your mobile gadget. This app has a Norton rating on websites that you will visit to determine their safety score. It is part of the iOS7, thus, technically, it cannot be considered as an application but just the same, it is free. Without this app, it will become challenging editing or deleting personal info. This application is also more than just a password manager because you can choose to save personal contact data together with that of your credit card information for easy shopping. Keychain allows saving of information when it is prompted and can generate random passwords for more security. With that, you no longer need to memorise different passwords for emails, online shopping, subscriptions, and financial transactions, among others. In addition, security risks become lower as you do not need to maintain one password for all access. Do not leave everything to chance. 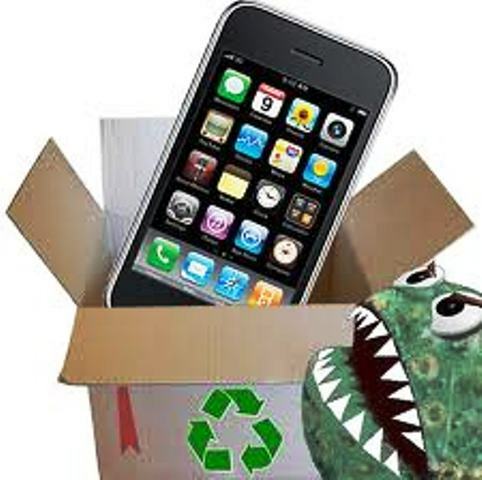 By installing this free anti-virus application for iPad and iPhone, your online browsing will be much safer. How so? It is an alert system application for your iOS gadget. It alerts you each time your device is under attack or there is a threat to vulnerability. Thus, you are instantly notified that the site you are browsing is loaded with virus or spyware either in the site content or its file attachments. It offers recommendations on how to deal with different viruses and malware attacking your mobile device. Storing sensitive data into your computing device such as personal records, tax and card numbers, photos, and documents is never secure. There is always a chance that other people will tinker with your computer and access these data or you might lose your mobile gadget and confidential information ends up with the wrong people. While this application is a password management app, it is also all about secure cloud synchronisation across all of your gadgets, devices, and computers. It allows more secured data sharing and sending even to non-users of this application. It has the ability to back up files to avoid data loss and create hacker free passwords. The best things in life are indeed free. You can protect your mobile device with these free security apps for iPad and iPhone. This entry was posted in Apps, iOS, iPad, iPhone and tagged Find my iPhone app, iPad, iPhone, Key Chain app, McAfee, Norton Snap, security apps, Splash ID, Webroot. Bookmark the permalink.